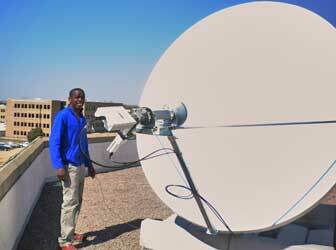 Satellite internet and VSAT installation services in Zimbabwe, Mozambique, Botswana and Namibia. 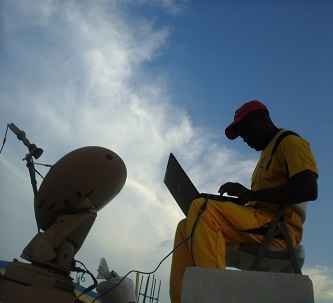 Francis is Project Manager, a Certified VSAT Consultant trained by the Global VSAT Forum (GVF) organisation. 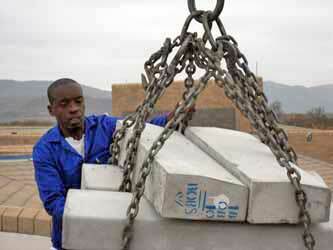 He is based in Zimbabwe but he and his team are willing to travel as needed. 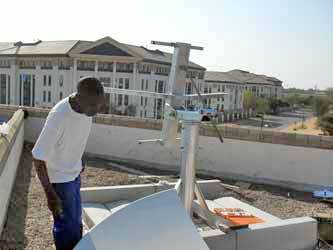 2.4m diameter antenna installation on a roof in Botswana. 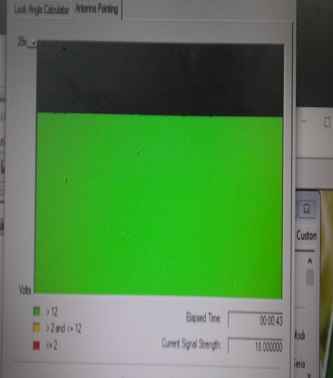 Feed system is circular polarisation. 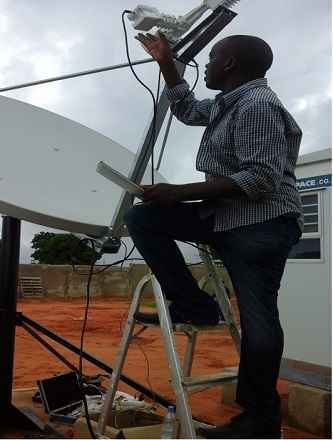 His team has experience with the following: 2.4m C-Band, 1.8m, 1.2m Ku-Band, Ka-Band antenna and radio systems at all sizes using iDirect, Gilat, Comtech, Hughes, DVB-S2, Linkstar, Schumberger and Paradise technology modem and indoor equipment. 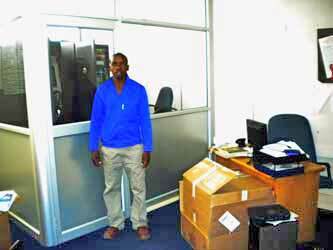 His "FOUNNDATIONS" team is available 24hrs for work anywhere in Africa. 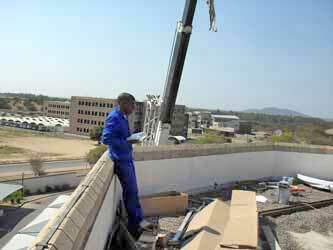 "With engineers in every African country we are able to timely meet your requirements. 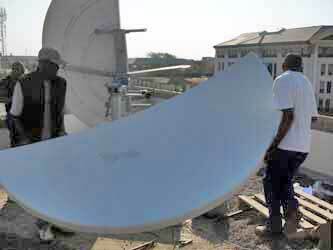 We offer ozone friendly solutions and sat engineers to the public (SOHO, CAFES, WIRELESS ISP ETC) and other service providers." Update: Now expanded to include Namibia following recent work there. 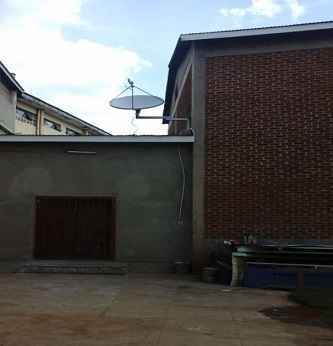 Here are some pictures of recent VSAT installations in and around Africa. 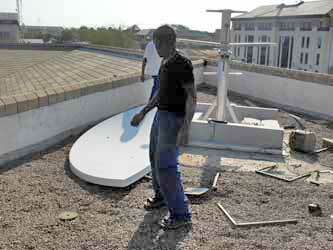 for the base of the non-penetrating antenna mount. 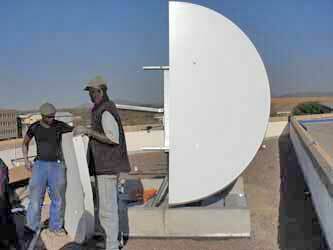 Preparing to attach the first half reflector panel. Preparing the second half of the reflector. 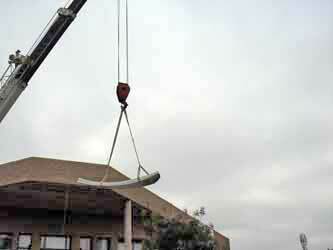 Using crane to lift the antenna reflector panels. Mount pole and antenna backing structure assembled. First half of the reflector attached. Page started 1 Oct 2010 , last amended 16 Sept 2018.